Most people know in the back of their minds that it makes sense to save ahead of their retirement. 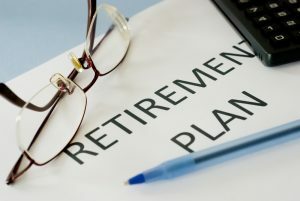 However, a new study shows that short-term thinking, a lack of access to appropriate retirement programs and general inertial all contribute to the fact that many people do not engage in the estate planning process as soon as they should. For many people, working longer and staying in the workforce past age 65 have been the common approaches towards addressing retirement strategies. A new book from economist Richard Thaler explains why people so often fail to save for retirement and societal changes including the lack of employer managed retirement plans are involved as well. A defined contribution retirement savings plan on its own will fail to overcome behavioral barriers and lead to less than optimal outcomes when it comes to retirement savings. Bearing in mind that most people have limited awareness regarding financial and retirement issues to begin with, without an outside professional to help them guide through the process they are more likely to ignore the option overall and fail to engage in retirement planning until it is too late to make that much of a difference in their bottom line. The same goes for estate planning. Many people put it off and do not realize the power of estate planning until they wish to take steps to protect their loved ones or until they have a loved one who fails to do estate planning and then puts the entire family in the spotlight of dealing with the issues. Consulting with a knowledgeable New Jersey estate planning attorney is strongly recommended if you wish to talk about how your retirement and estate planning can work together.